Nobody likes paying interest but it goes with the territory if you need to take out a loan. But understanding simple interest is sometimes far from simple. Learn how to calculate simple interest here and understand how it works. In 2017, the mortgage debt of US consumers was nearly $9 trillion. And all of that debt accrues interest. It’s important to know exactly how much your debt is growing by. But with such large sums of money involved calculating interest might seem pretty daunting. The good news is that the calculations aren’t as hard as you might think. Particularly if you’re calculating what’s known as simple interest. Read on to learn how to calculate simple interest and the different kinds that you are likely to incur. There are two types of interest that you are most likely to have to deal with: simple and compound. Simple interest is exactly that: simple. You start with the amount invested or borrowed. This is also known as the principal. And interest is added to that amount at the end of each year, based on the interest rate. The reason that this kind of interest is simple, is that the same amount will continue to be added every year for the life of the loan or investment. So once you know the interest for one year, you know that it will be the same amount year after year after year. So if you invest $100 and make $10 interest in the first year, you know that the following year you will make $10 more. And that you’ll make an additional $10 every year for the life of your investment, no matter how large your investment grows. Compound interest is more complex. The amount of interest actually grows year on year. This is because, with simple interest, the interest is always calculated based on the original principal only, no matter how much the debt or investment grows. But with compound interest, each year the interest is calculated based on the principal amount PLUS whatever interest has been accrued. So the amount that the calculation is based on will get bigger and bigger each year. And so, therefore, will the amount of interest. 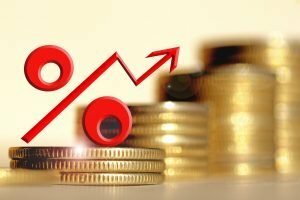 Compound Interest vs Simple Interest: Which Is Better? That depends on whether you are investing or borrowing. If you invest $100 and make $10 interest in the first year, you now have $110. And so the following year, you would make $11 interest. At first, this doesn’t seem like that big an increase over simple interest. But compound interest soon adds up. After 10 years with simple interest, you would have $200. That is your principal of $100, plus 10 years of $10 interest. But with compound interest, after 10 years you would have $259.37. And the longer compound interest runs, the bigger the increases get. Leave your investment for 20 years, and your simple interest investment would have reached $300. But your compound interest investment would now be worth $672.75. More than double. So for investments, compound interest is much, much better. Which is good news as this is the type of interest almost all investments offer. The bad news is that compound interest is also used for your mortgage debt, which is why the amount that you finally pay off can grow so large. To calculate simple interest, you only need to know three things. The principal, the interest rate and the length of the investment. I = PRT. This means to calculate the interest you just multiply the three values together. There is something you need to be careful about though. The interest rate must be in decimal form, not a percentage. This is very easy to convert, however. 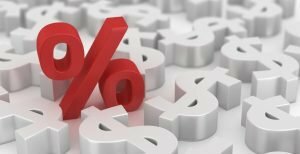 To turn an interest rate percentage into a decimal you simply divide it by 100. So let us look at an example. Imagine we invest $100 at 5% per annum for 10 years. What would be the interest? Our principal P is $100. Our time duration of the loan (T) is 10 years. And our interest rate R is 5%, which as a decimal is 5 divided by 100, or 0.05. So using our formula I=PRT, our interest would be 100 x 0.05 x 10. This gives us $50 interest. Which is what we would expect, being $5 interest every year for 10 years. Compound interest is more complicated as you need to take into account the interest that has been accrued each year. But the formula is still fairly simple to use. To calculate the total amount (A) from the principal (P), interest rate (R) and the time duration of the loan (T) our formula would this time be A = P(1+R)^T. This means that instead of doing P x (1+R) x T, we need to do P x (1+R) to the power of T.
A basic calculator such as the standard one on your phone won’t have a button for raising one number to the power of another – you will need to use a scientific calculator. Top tip: most calculator apps on smartphones will show additional scientific functions if you rotate them to landscape mode. So if we invest $100 at 5% compound interest per annum for 10 years, our formula would be I=P(1+R)^T. So our interest would be 100 x (1+0.05)^10. This gives us a total amount after 10 years of $162.89. Which is $62.89 interest on our original investment of $100. As you can see, compound interest is a lot more complicated to calculate and is almost impossible to do without a calculator or spreadsheet. So now you know all about how to calculate simple interest. If you’d rather just get your calculation done quickly and easily you could always try using a simple interest calculator. It’s quick, accurate and easy. Just type the values into the boxes and all the calculation is done for you. A simple interest calculator is a very handy tool. If you’d like to know about other useful tools for investors, then we have a whole host of recommendations. And if you’re looking for more information or advice about investing, then why not browse more of our helpful articles? And as always, please don’t hesitate to get in touch.